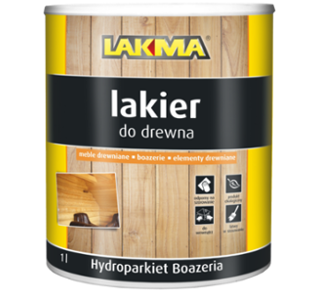 HYDROPARKIET BOAZERIA is a water thinnable, acrylic paint with silk or soft sheen finish. The paint coat has good resistance to wear, water, detergents and sunlight. Easy to use. Does not require the use of paint base coats. For painting dry, sanded wooden surfaces: panelling, first-fix joinery and other items not exposed to weather. Does not produce formaldehyde nor other hazardous volatile substances and can be used for normal domestic areas.